Recommended to provide comprehensive support for dogs in moderate need of joint and connective tissue support. Glyco-Flex II represents stage II of our comprehensive stage of life program for joint support. It's also recommended for adult and maturing dogs, sporting and working breeds as well as a follow-up to orthopedic surgery. Vetri-Science® Laboratories’ Glyco-Flex® II combines the multiple benefits of GlycOmega® brand Perna and our DMG with glucosamine for dogs, methylsulfonylmethane (MSM), and manganese. This comprehensive blend of ingredients helps to optimize support of the structure and function of synovial joints in dogs with a need for moderate joint support. It’s recommended for adult, maturing, working, and sporting dogs. 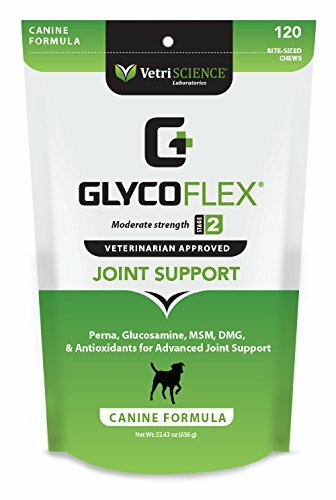 Glyco-Flex II Canine contains GlycOmega, Perna canaliculus from an exclusive New Zealand source. The entire green-lipped mussel is utilized for optimal support. Some Perna extract-based products and mussel powders may lack bioactive components, like specific, important fatty or amino acids, glycosaminoglycans (GAGs), vitamins and naturally chelated minerals that the whole organism provides. 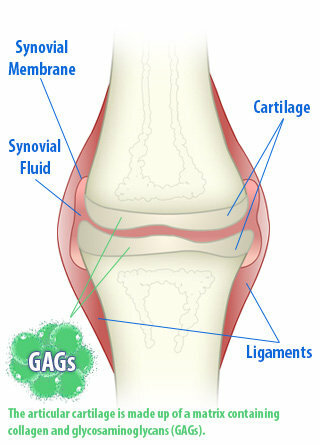 GlycOmega® contains all major classes of GAGs that occur in connective tissue (joint cartilage, tendons, ligaments, and synovial fluids) like chondroitin sulfates and hyaluronic acid.